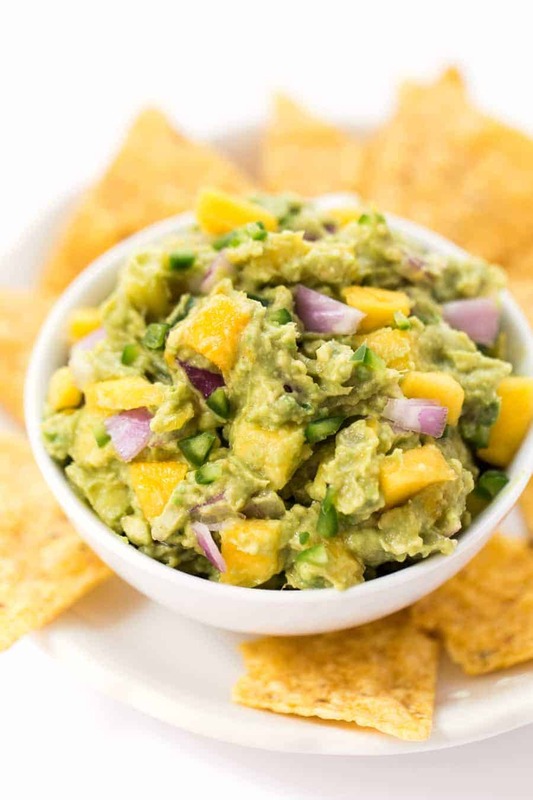 This spicy mango guacamole recipe is a quick and easy spread that goes with everything. Use it on top of burgers, dip with chips or spread it on some toast! I'm of the mind that anything is better with avocado. Literally ANYTHING. 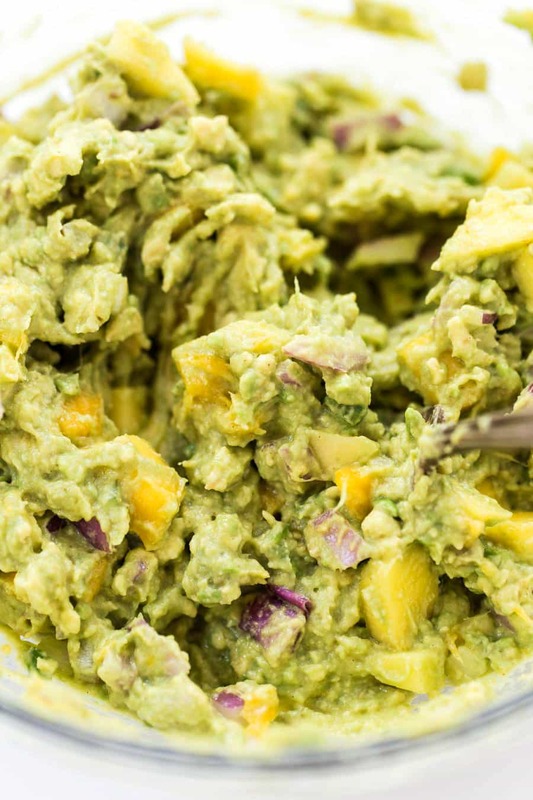 I've found there are a million and one ways to sneak this incredible ingredient into your diet, including creamy smoothies, avocado mousse, and even vegan brownies, but today we're sticking with the classic: guacamole. But since we're just diving into summer, let's have a little fun, shall we? 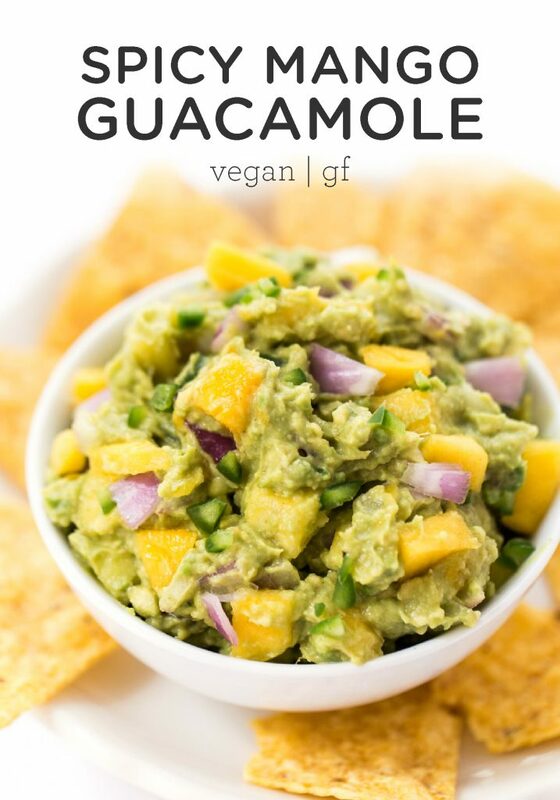 Instead of traditional guacamole (which I seriously L-O-V-E! 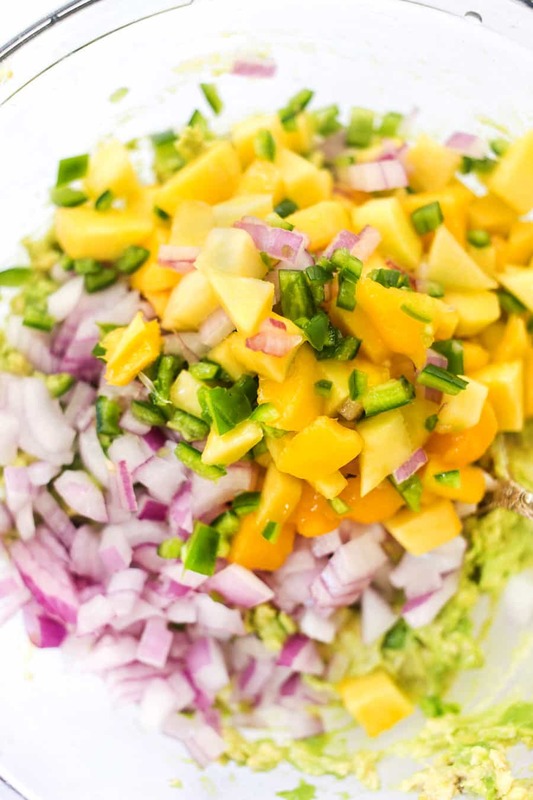 ), we're taking a tropical twist by adding chopped mango, then spicing it up with some fresh jalapeno. Such a fun twist and a total crowd-pleaser! If you've never made guacamole before, it's honestly the simplest thing ever. No special equipment needed. Just a cutting board and a bowl! What I love about guac is that it has multiple uses. What I don't love? That it's the first thing to get eaten at parties and it doesn't last more than a few hours before turning brown. But honestly, the second part doesn't really matter because it's gone in that amount of time anyway. …with ALL the tortilla chips! I hope you have so much fun making this dish! I know it's going to be a staple for me this summer – I'm already dreaming up the many ways I can use it. 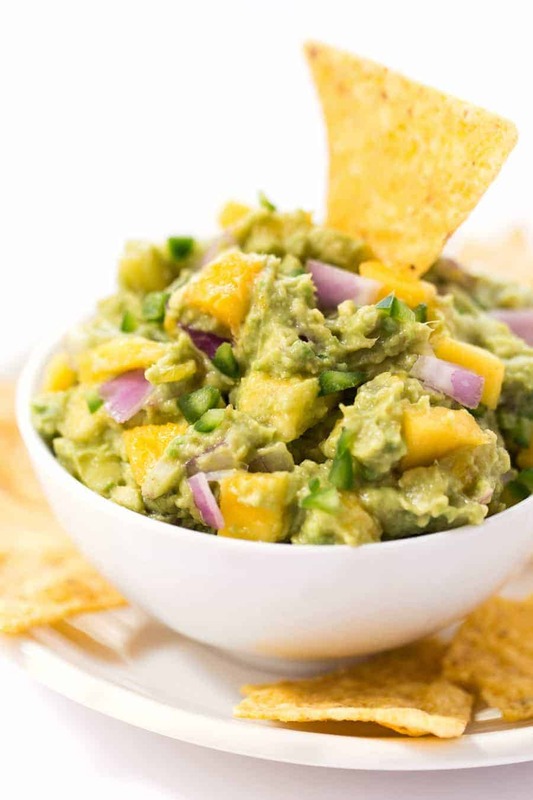 Can't wait to hear how much you ❤️ this spicy guacamole recipe! Make sure to tag me on Instagram if you snap a pic using #simplyquinoa or @simplyquinoa! 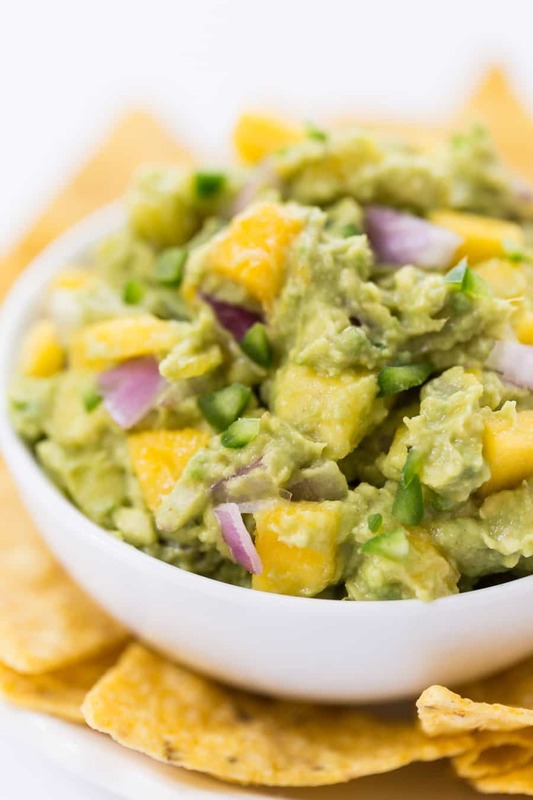 Watch how to make this Spicy Mango Guacamole recipe! 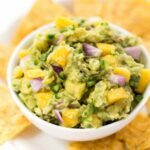 This spicy mango guacamole is made with less than 10 ingredients and it makes the best dip, spread or toast topper! Remove pit from the avocado and scoop out flesh into a large mixing bowl. Mash with a fork until almost smooth, but a few chunks remain. Serve immediately with chips, crackers, chopped veggies, or on top of your favorite veggie burger! First of all, thanks for your work, your recipes are awesome! But today I’m writing to give feedback on the site. Please, choose another font, this one is very hard to read I always had to relay on online reader extensions for the browser. Thanks for the feedback! Hoping to unveil a website redesign in the coming months!